Over the past year, online 'romance' scammers, phishing attacks, and advance fee fraud accounted for over half of $750,000.00 lost in online incidents reported to NetSafe. 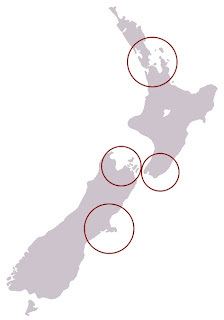 And (soon) Wellington as well as the regions surounding those corresponding cities. We are also able to provide services NZ-wide as well as internationally, through service partners or other reputable agencies. All enquiries to 0800 366 989. Ten or more years ago, you might have held the opinion that there was something inherently wrong with the concept of online dating. Perhaps there was a stigma attached as that's not how people were supposed to meet? Now, however, in an increasingly busy world, it is big business and even rather commonplace for relationships to start from online beginnings. There are many sites offering services to New Zealand singles (and not-singles); two of the most popular would be NZDating (317,843 members) and Findsomeone (332,990 members). While that may come as good news to those looking for Mr or Ms Right online, there is also a darker side. Glimpses of the more extreme have been seen over the past few years on the news. Most recently, Natalia Burgess has become a household name for her online predation of young boys through fake facebook profiles, but she also was a member of at least one popular dating site. Then there is Dean Mulligan, guilty of bludgeoning to death Marice McGregor whom he had met on a dating site. Mulligan was married. Or Glenn Mills the prolific, equal-opportunities, internet lothario who infected at least 7 people (6 male, 1 female) with HIV. While these are extreme cases, you have no doubt heard 'horror stories' from friends where the person they eventually met was certainly not one they had been emailed photos of, or who turned out to be married, or who stole from them, or who were just scam-artists of various ilk. If you are involved in, or contemplating, an relationship with someone online, Cabal Investigations can assist, New Zealand-wide. Call us on 0800 366 989 to discuss your matter in confidence or email us directly and we will contact you.